Made from ceramic, the Tanssi plate suits table settings from breakfast to dinnertime. It is oven-, microwave- and dishwasher- safe. The Tanssi pattern has been inspired by the visual designs by Klaus Haapaniemi for the Finnish National Opera production of The Cunning Little Vixen, a Czech opera by Leoš Janá?ek. 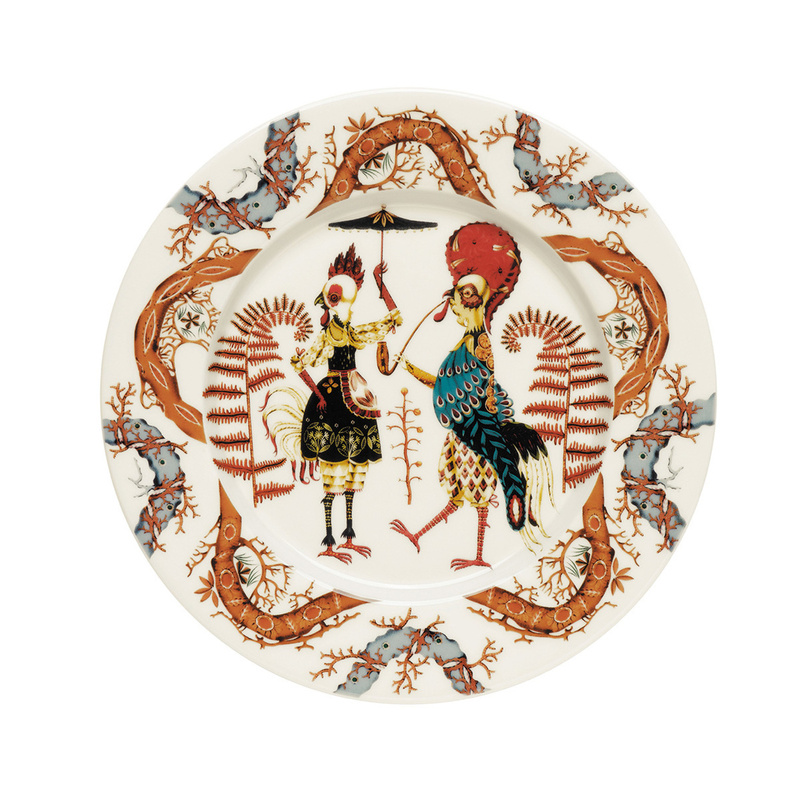 Tanssi introduces mythology into everyday tableware. It makes a good addition to any current Iittala collection available on sale online. 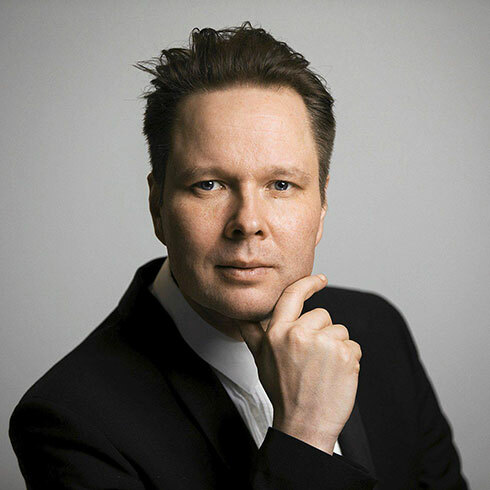 Klaus Haapaniemi (born 1970) is an internationally recognized designer. His CV of design work is impressive: garment prints for Diesel, Levis, Marimekko, Dolce & Gabbana, Cacharel and Belàs Dead, a new brand. He has also worked as Creative Director of the Italian fashion house Bantam, published a book entitled ‘Giants' together with the Finnish writer Rosa Liksom, produced illustrations for the Observer newspaper, shown his work in exhibitions – and done a few other things in between. The international WGSN trend analysis service has dubbed him as one of the most important rising stars in illustration and design. The international media often refer to Klaus Haapaniemi's Finnish roots, and even the Finnish national epic, the Kalevala, has been mentioned. It is true that his illustrations have references to folklore, a good example being the mystical Iittala Taika collection. In 2015 Klaus Haapaniemi has made his opera set design début by creating the visual world for the performances of the opera Cunning Little Vixen performed in Finnish National Opera January 2015. 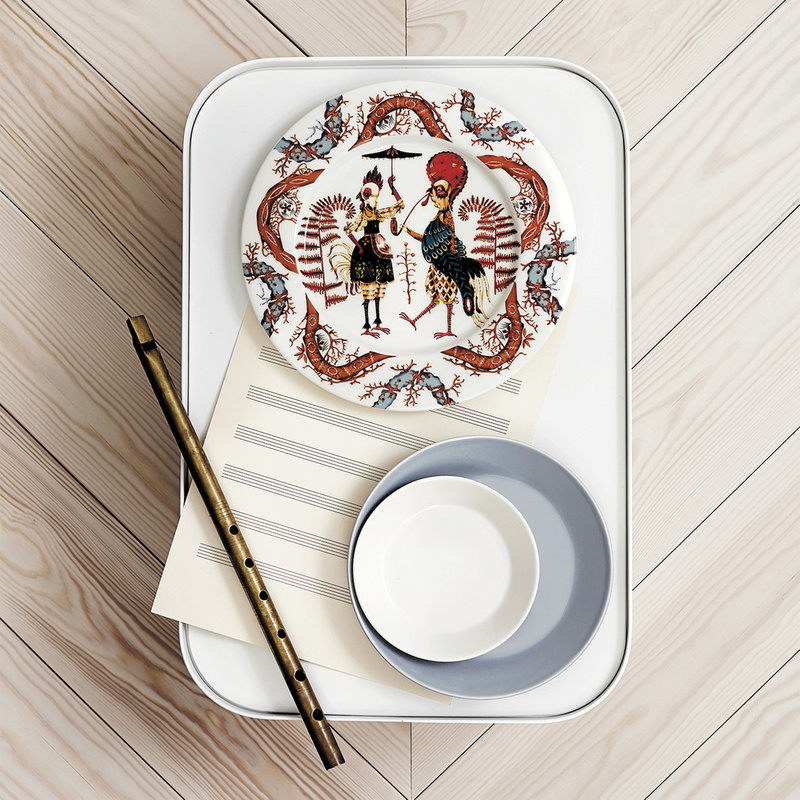 Based on the same opera, he has created the Tanssi collection for Iittala.